My first time at Don's house back in 2011. 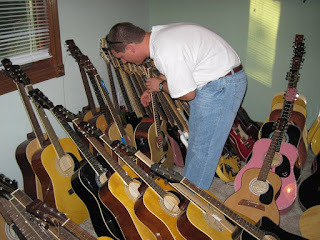 This is the Guitar Room! So many choices. Here I am reaching for the Sakura acoustic. Don showing me more options. 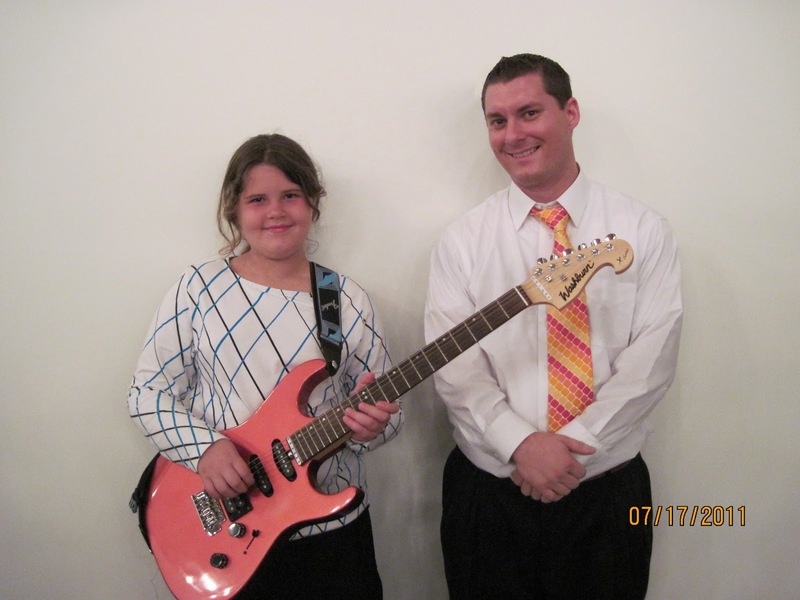 This was the Washburn and the little girl I gave it to. 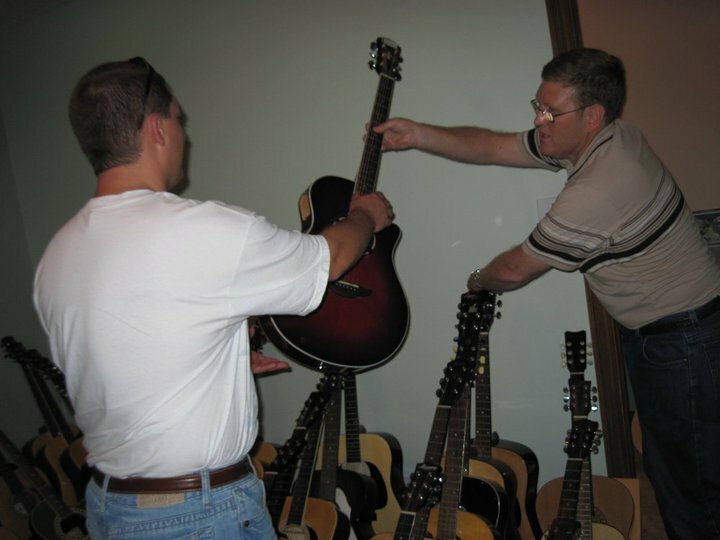 In the picture above I am holding the Fender Strat that belonged to the church, this was before it was stolen. Man! I really miss that guitar! It eventually was planted into good hands! Years later and I am helping get instruments planted with Don! In this picture I am holding a gift that Don gave me, a Tele style Indiana guitar! It was his way of saying thank you! 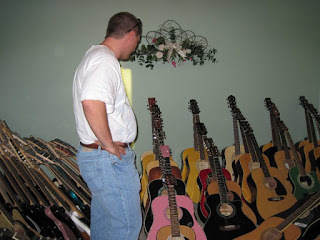 Behind us are the instruments that will be refurbished and given away to those who are in need. Poor Don had put in a full days work and then a full day of Jamming. I am sure he liked the latter more than the former though. What a journey, what a blessing, and what a great God we serve!